The Orionids are cosmic leftovers — bits of rock and ice that remain behind from Halley’s comet, which last passed through the inner solar system in 1986. As the sun heated the famous comet, chunks of debris broke off, leaving a trail of material that the Earth passes through annually. The pieces hit the Earth’s atmosphere at 148,000 mph, burning up and leaving trails that sometimes shine green or orange. Conditions for this year’s shower should be very promising, with the sliver of a first-quarter moon setting around midnight, leaving the night sky exceedingly dark. To watch the meteors, you can take a nice warm blanket out to an area far from city lights, like a state park, and lie back to get a good full-sky view. 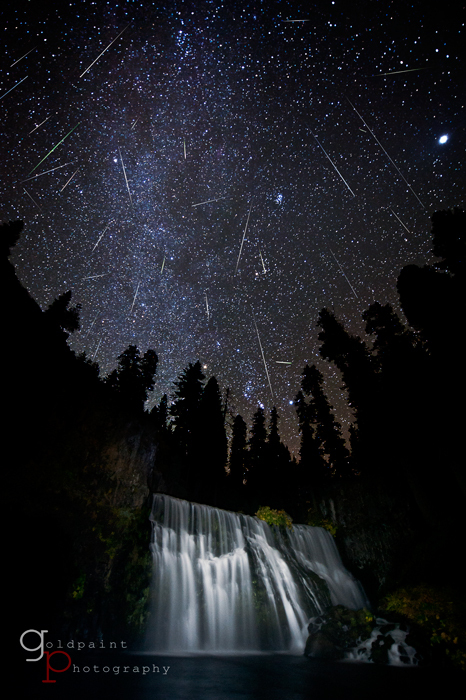 You can expect around 25 meteors to shoot overhead per hour during the shower. The Orionids appear to come from the constellation Orion, familiar to even casual night sky viewers because of his recognizable three-star belt. Just above the belt is a bright orange star called Betelgeuse, sometimes known as Orion’s armpit. The Orionid meteors should streak from there. This year’s celestial show will be joined by several planets, which can be distinguished from other stars by the fact that they don’t twinkle. Jupiter and Venus, the brightest objects in the night sky, will be arranged in a triangular configuration with Sirius, the Dog Star, during the pre-dawn moments of Oct. 21. Mars should also be visible as a red object in the southwest shortly after sunset both nights. Responses to "How to Watch the Orionid Meteor Shower This Weekend (Video)"
Are we able to see them in southeast of Norway? How wonderful the universe is. Light and particles delight our sight, and inspire beauty in our heart and soul. will I be able to see here in Nuevo Laredo ?? I hope so !!! Will I be able to see from Cell Block D at Sing Sing? Will I be able to see it from Minnesota?? Which direction in the sky?? ?